While we are a Full-Service Company, BASED IN UTAH, and we do offer a large assortment of equipment that we rent out for events and shows. This is often times the very same gear we use ourselves at the events we produce and manage, so know you are getting some of the best names of innovative gear in the industry. ​Our rental equipment is built well, always reliable, and makes any event you work on come together beautifully! Much of the gear we have to rent is available for pickup at our warehouse in Lindon, UT. We do pickup by appointment only, and will provide the address and pickup information when you are completely confirmed for your event. We do require a deposit to be paid to reserve equipment, which is assessed based on the full price of the rental. All renters must provide a Valid Drivers License, Credit Card, and a signed Rental Agreement to pickup and use the equipment. Any final payments are to be made Before the equipment is released to the client. Any equipment rented is released to the care and safe-keeping of the renter. All liability of damage to and from the gear is the complete and total responsibility of the renter. Any damage to the equipment for the duration of the rental is required to be taken care of by the renter. Under no circumstances is the renter to make any repairs or alterations to the equipment on their own. 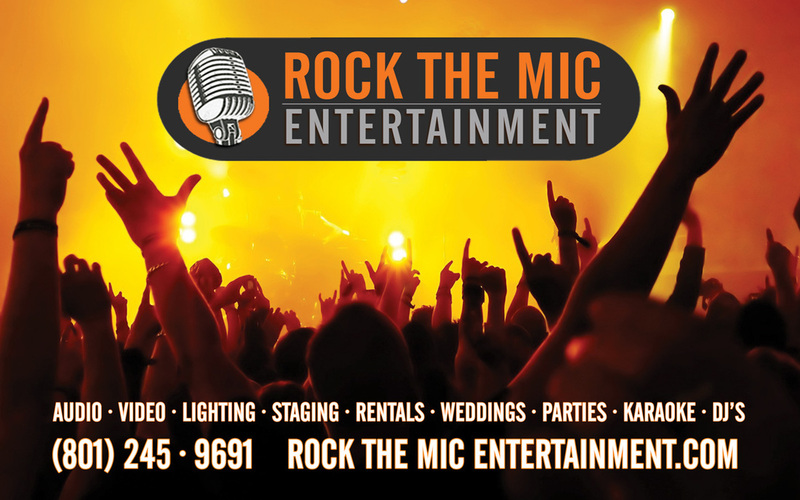 All repairs and/or replacements are to be done by Rock The Mic Entertainment. Because we will often have large events and specific timelines with gigs, it is best to inquire and book your gear as early as possible. We will often times have clients come to us last minute that we usually can fulfill their needs, but on occasion we are unavailable to assist them. Peace of mind and less stress are definitely things to consider when booking an event, so please remember that all our equipment is subject to a first-come, first-serve basis. We always reserve the right refuse service and rentals to clients that we believe will damage our equipment.